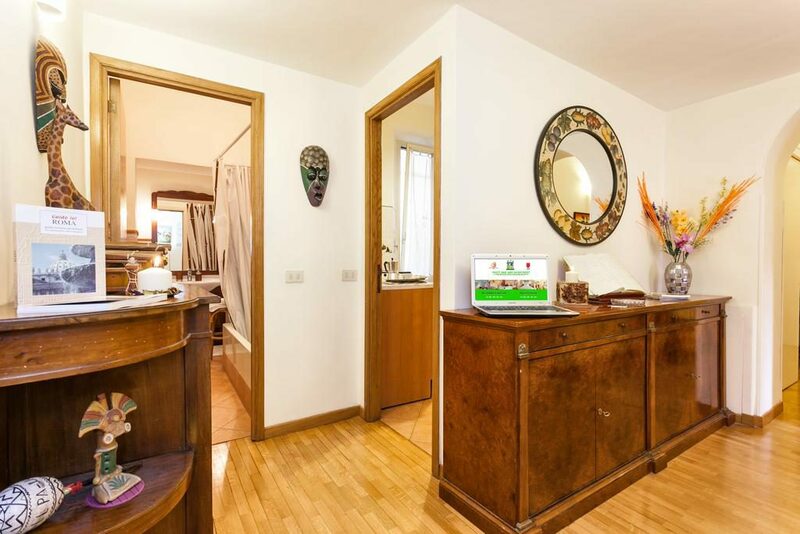 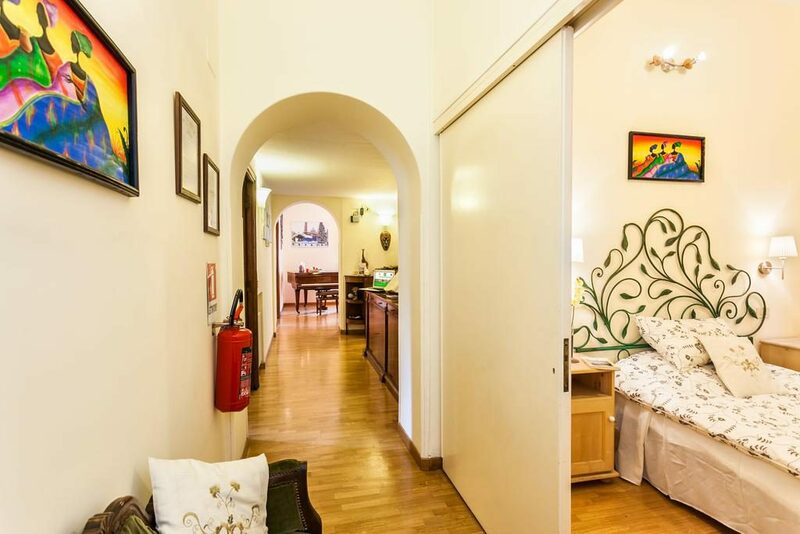 Prati Vatican Apartment is your holiday home in Rome, a spacious and comfortable apartment in a building of the early ‘900, located in the Prati Vatican area in the very center of Rome, 5 minutes from the Basilica of St. Peter and the Vatican Museums . 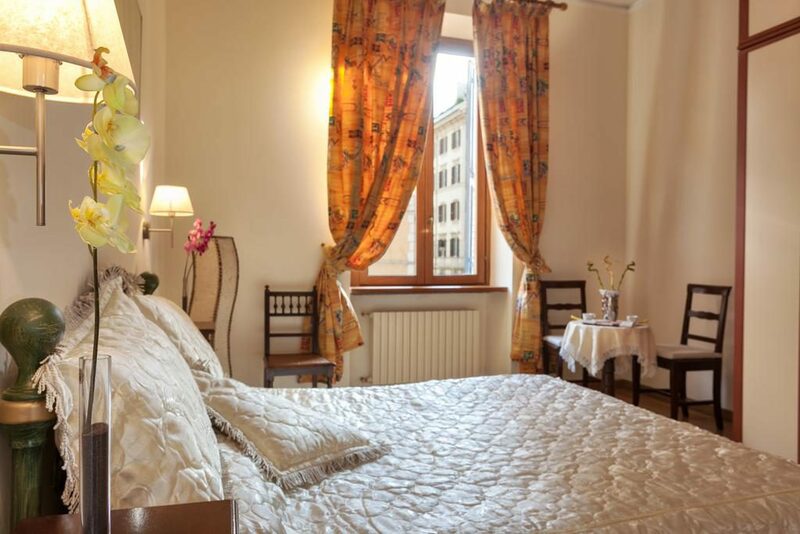 The ideal home for couples, families and groups of friends who want to spend some days in the center of Rome at a low price. 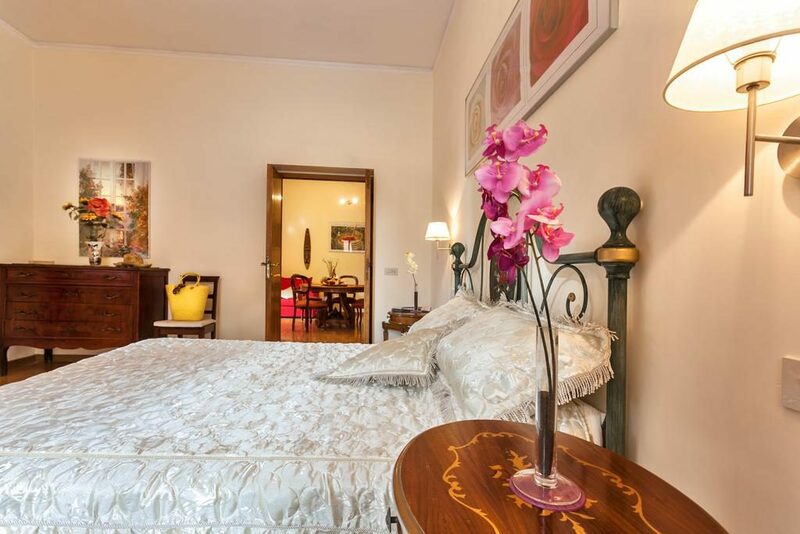 The apartment consists of 2 spacious and bright double bedrooms in pastel colors and 1 pretty single bedroom with a French bed, for a total of 5 beds. 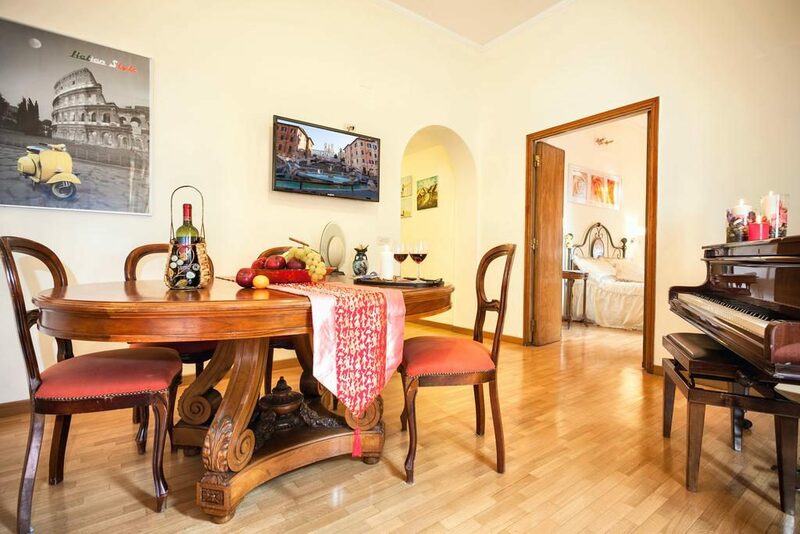 All rooms are furnished in a modern style with a touch of originality. 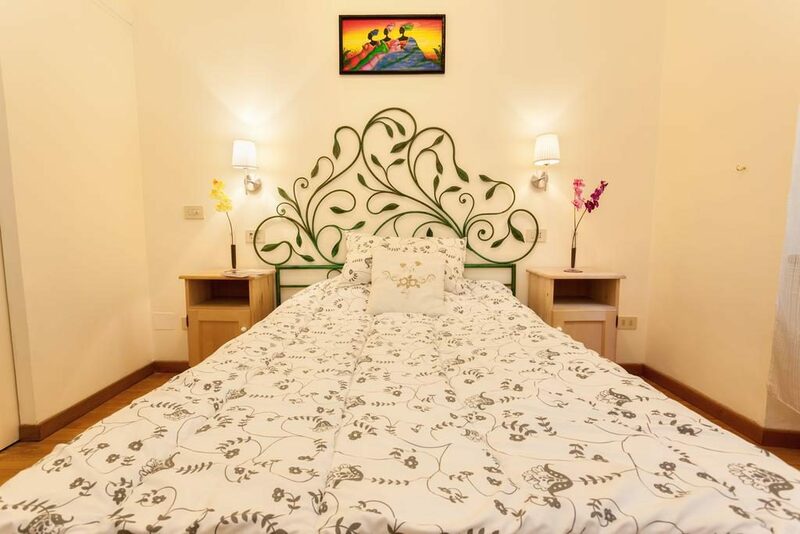 The furnishing of the rooms includes bed with wooden slatted net and orthopedic mattresses, bedside tables, lamps, wardrobe, chairs, chest of drawers and mirror, all in wood and cared in design. 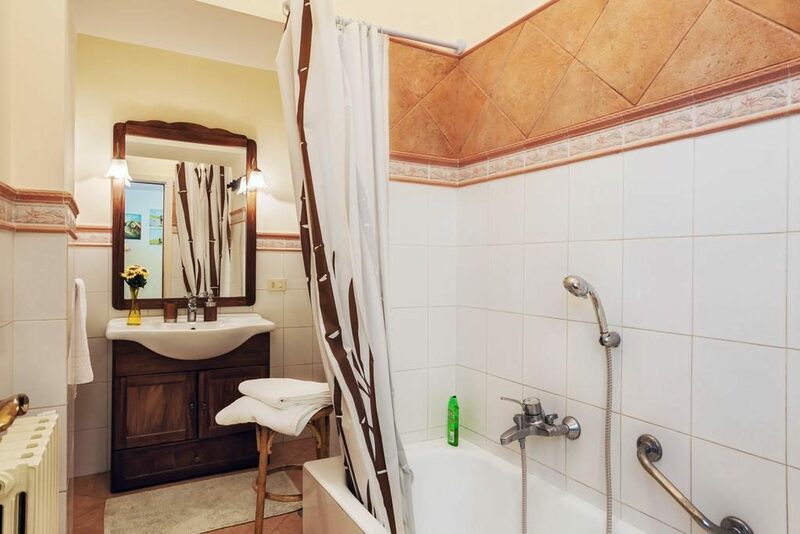 The house is served by a large bathroom with terracotta flooring and wooden furniture, complete with bath with shower, accessories and hairdryer. 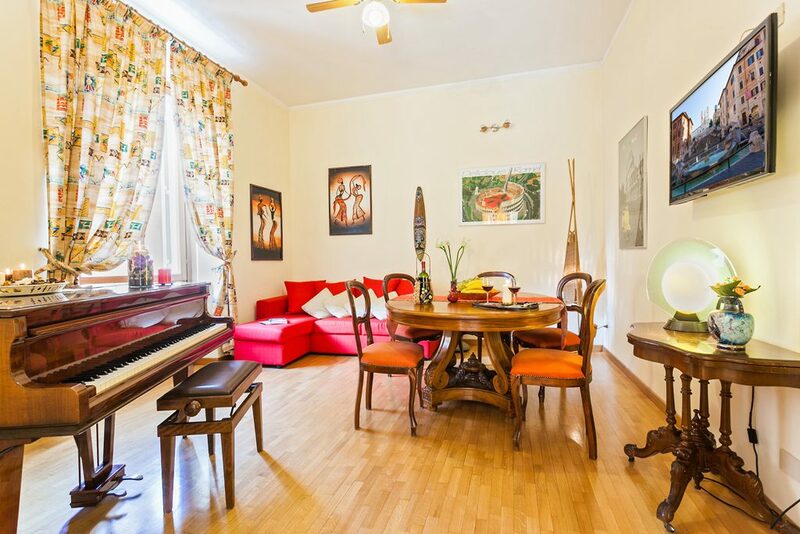 The living-dining room is a comfortable place to spend time together, furnished with a magnificent mezzanine piano, complete with a sofa and a large oval dining table of the early 1900s. 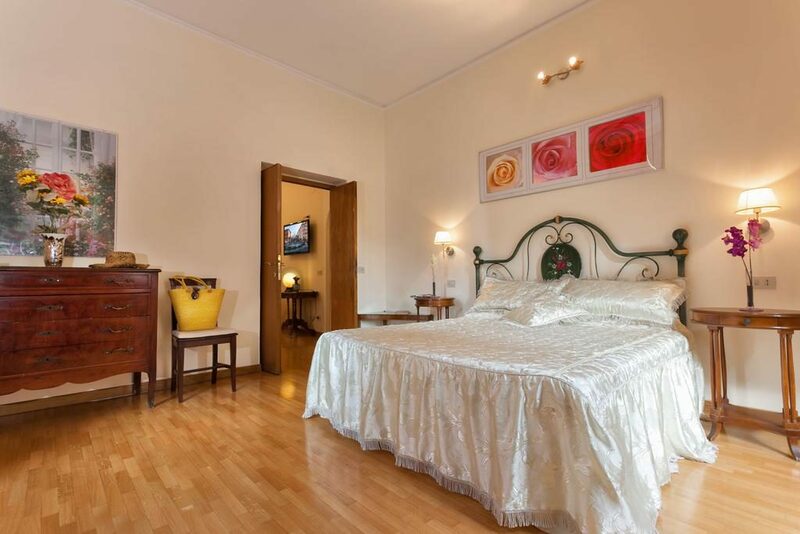 Wooden furniture and cabinets of the ‘900 complete the furnishing of the room provided with 47 inch LCD TV. 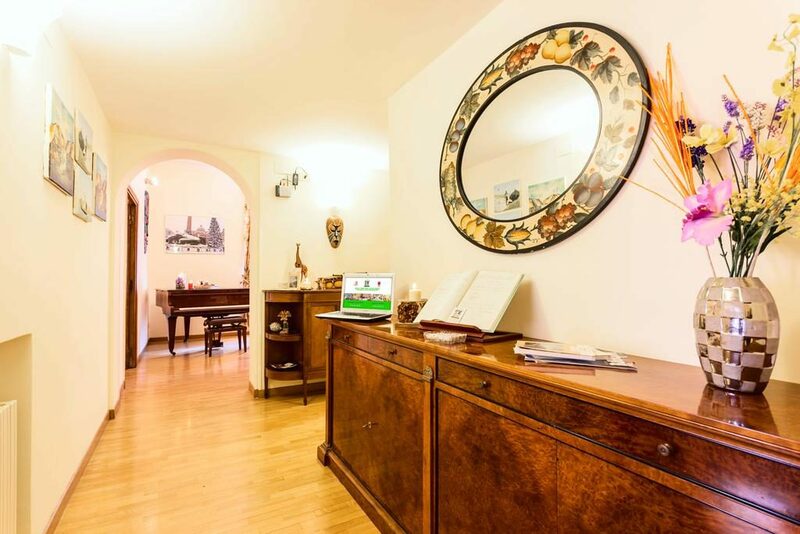 It is also equipped with anti-noise windows, independent heating and fans in every room of the house, free wi-fi internet access. 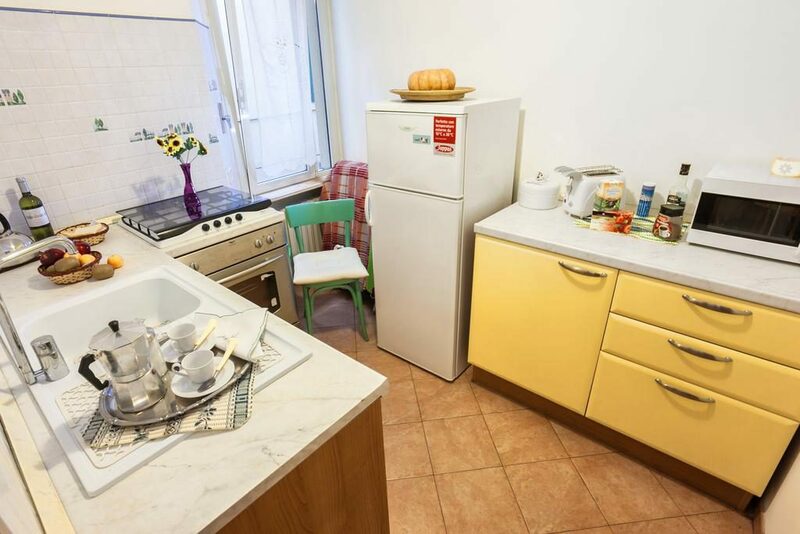 Affordable and family rates, starting from 90,00 Euros * Breakfast not included. 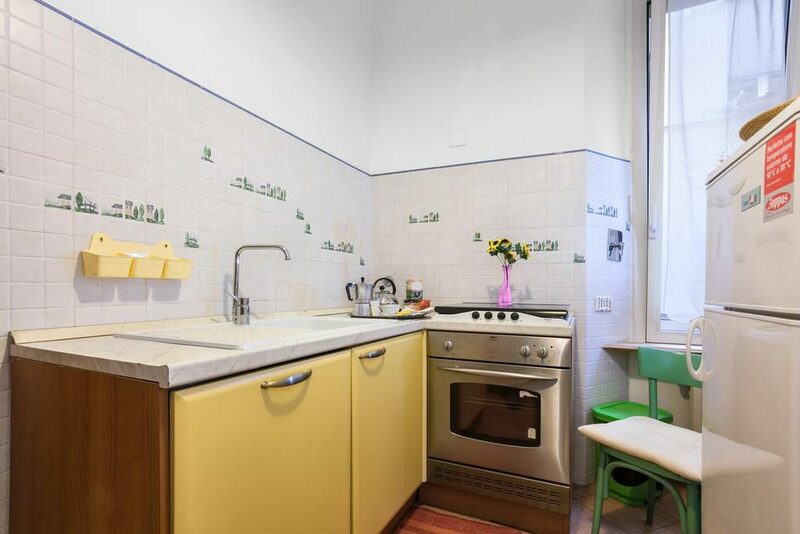 * Prices and offers are always excluded from the “Roma tax of € 3.50 per person per day.